We were inspired by Jake the pug's love for socks. What do you dream of? Let everyone know with this beautiful color changing wall decoration. Simple in design, it is the perfect way to warm up your home with a personal touch. 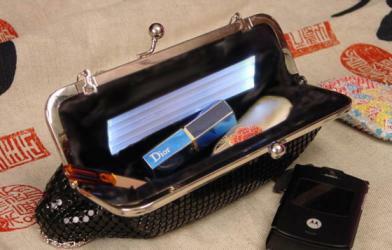 No more fumbling for your lipstick or compact while at the club, lightyour way with this easy to make light panel for your purse or bag. The panel uses a two part magnetic switch, so when the purse is closed the light is off and when its open the light is on. Simple! I did a demo of this project at Maker Faire. Thank you to the ladies at ArtFuture! This summer I met and talked with fellow dog lover, Cali Lewis of Geek Brief.tv for MyHome2.0. Cali has a sweet little pet Chihuahua named Sydney, and I made her a stylish fiber-optic doggie coat with a sparkling bone design. Below I've put together some instructions to compliment the DIY web episode on MyHome 2.0so you can make one for your little pooch! 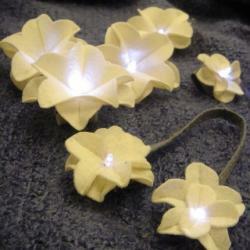 This holiday season give the gift of light with the Moonlit Flower. Tree or the Super IPod at http://techdiy.blogspot.com. Stay warm and keep in touch by iPod proofing your gloves this winter. After our easy step-by-step DIY, you'll turn heads and turn up the tunes without one finger hitting the cold again. Take it from me, this is the easiest, cheapest, and coolest DIY project you can do for the Holidays! 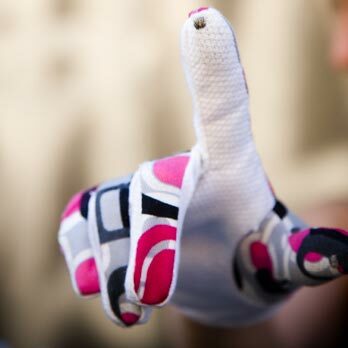 Make them for yourself, or they are a great gift for any of your hi-tech friends. We promise not to tell them how easy it was. Three Tweets for Twittering Teddy!!! Guru Lloyd and I, from MyHome2.0, performed hours of exhausting surgery on an old teddy bear to bring you the Twittering Teddy! We converted your favorite friend into an animatronic bear that reads and speaks all your Twitter messages. Creepy? No... its CUTE!